This Multi-Coated ND Filter is an essential accessory for any photographer's camera bag. ND filters reduce the amount of visible light that enters the lens, allowing the user to utilize wider apertures or slower shutter speeds, particularly in bright conditions. ND filters work especially well for portraits by allowing the photographer to reduce the depth of field, producing pleasant background blur while keeping the subject in sharp focus. These filters are also often used to emphasize movement by permitting slow shutter speeds in bright light, giving life to photos that would otherwise look frozen in time. 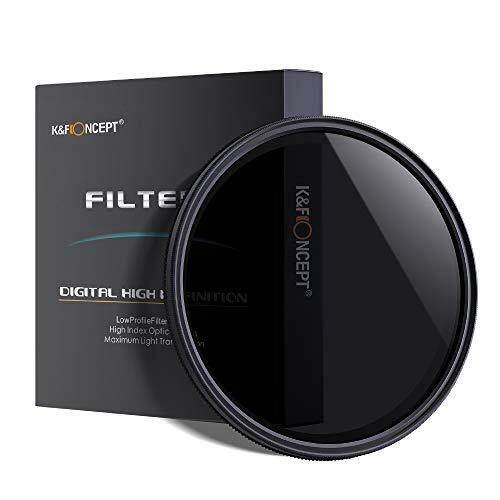 This particular filter is multi-coated to minimize reflection on the filter surface, which reduces flare and ghosting, and produces sharp contrast and well-balanced color. An ND8 filter reduces the amount of light by 3 stops. It gives you the freedom to create your own work by allowing you to have more control of the camera's aperture, exposure time and sensor sensitivity settings. Warranty: If for any reason you are unhappy with any product by TELESIN, please do not hesitate to contact us. We take full ownership and responsibility for the quality of our products and will do our very best to solve your problem quickly and efficiently! Made with high grade multi-coated optical glass, high definition glass provides crystal clear footage, and the precise machine tooling ensures a secure fit. Made of import optics glass and resin,top level of transmittance. Neutral density can be adjusted from ND2 to ND400. 2.When using the ND filter to the maximum(ND400) or bigger degree density, it will appear "X" spot or a blur in the picture,this is a normal phenomenon. 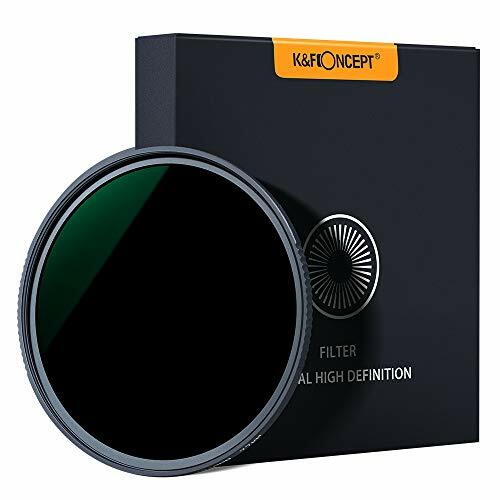 Material ND Filter 77mm: Made by Completed Professional Optical Glasses instead of Optical Resin. Microfiber: This Professional Microfiber made by Japanese Raw Material, very soft and easy to cleaning lens, filters glasses and mobile etc. Professional Design Using Super Slim Original Design to Avoid Vignetting When You Taking Photo. Popular Compatible Lens CANON Rebel (T5i T4i T3i T3 T2i T1i XT XTi XSi SL1), CANON EOS (700D 650D 600D 550D 500D 450D 400D 300D 1100D 1000D 100D) with 77MM Lens wich include: EF 24-105mm f/4L IS USM, EF 17-40mm f/4L USM,EF 24-70mm f/4L IS USM, EF 24mm f/1.4L II USM. NOTE This 77mm Filter kit is compatible with all 77mm lenses. Please verify your camera's lens thread size before ordering. Your camera's lens thread size will be marked somewhere on the lens barrel or printed underneath your lens cap. This number is always preceded by a (diameter) symbol. 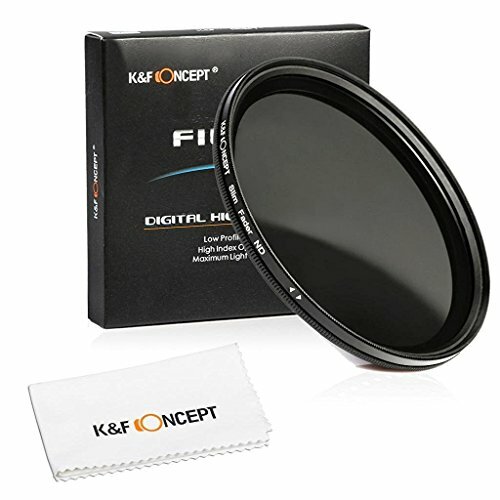 Includes K&F CONCEPT 67MM Adjustable Neutral Density Professional Photography Filter ND2~400 + Professional Microfiber Lens Cleaning Cloth. 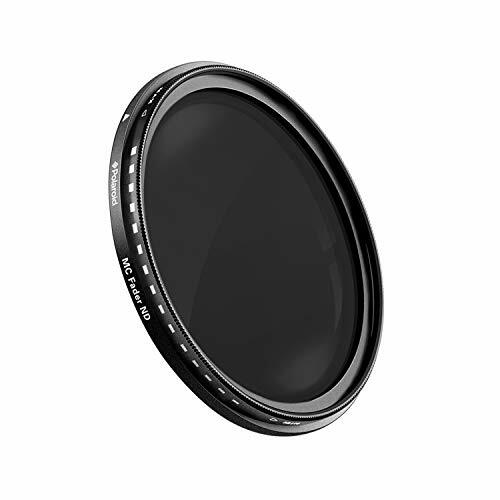 Material 67MM Variable ND Filter: Made by Completed Professional Optical Glasses instead of Optical Resin. Microfiber: This Professional Microfiber made by Japanese Raw Material, very soft and easy to cleaning lens, filters glasses and mobile etc. NOTE This Filter kit is compatible with all 67mm lenses. Please verify your camera's lens thread size before ordering. Your camera's lens thread size will be marked somewhere on the lens barrel or printed underneath your lens cap. This number is always preceded by a (diameter) symbol. Popular Compatible Lens CANON Rebel (T5i T4i T3i T3 T2i T1i XT XTi XSi SL1), CANON EOS (700D 650D 600D 550D 500D 450D 400D 300D 1100D 1000D 100D) with 67MM Lens wich include: EF-S 18-135mm f/3.5-5.6, EF-S 17-85mm f/4L USM,EF 70-300MM F/4-5.6L IS USM, EF 35mm f/2 IS USM. Made of import optics glass,top level of transmittance. 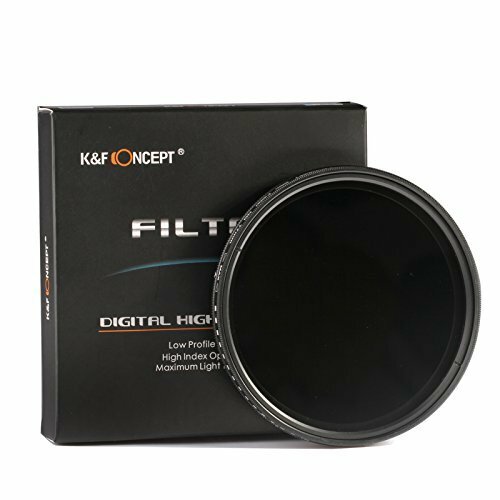 Includes K&F CONCEPT 49MM Adjustable Neutral Density Professional Photography Filter ND2~400 + Professional Microfiber Lens Cleaning Cloth. Material ND Filter: Made by Completed Professional Optical Glasses instead of Optical Resin. Microfiber: This Professional Microfiber made by Japanese Raw Material, very soft and easy to cleaning lens, filters glasses and mobile etc. 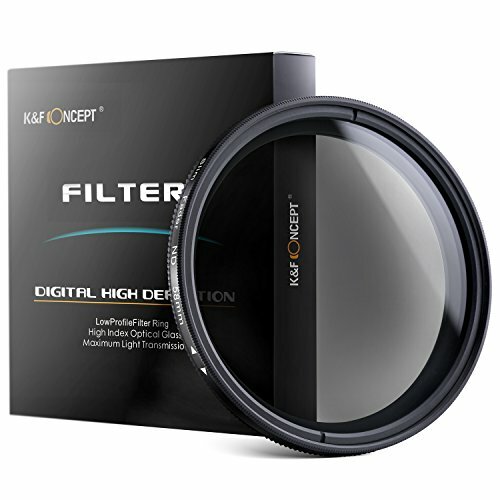 NOTE This Filter kit is compatible with all 49mm lenses. Please verify your camera's lens thread size before ordering. Your camera's lens thread size will be marked somewhere on the lens barrel or printed underneath your lens cap. This number is always preceded by a (diameter) symbol. Made of high quality optical glass by K&F Concept technology. Wider outer optic to help reduce vignetting at wide angles. Extinction paint seiko manufacturing,To achieve the testing sights on military standard. Neutral density can be adjusted from ND2 to ND400, Reduces the amount of light reaching the film without affecting the color. Have Control of Any Lighting Environment. Suitable for dynamic screen, waterfalls, streams, waves, etc. 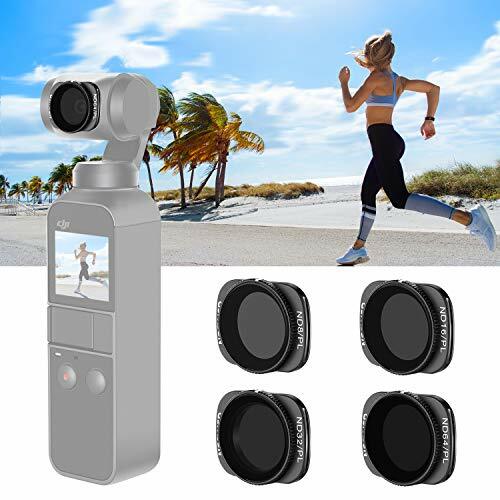 1.This kit is compatible with all 58mm lenses ONLY,Please verify your cameras's lens thread size before ordering.This number is always preceded by a " "(diameter) symbol. Neutral density can be adjusted from ND2 to ND400.Reduces the amount of light reaching the film without affecting the color. 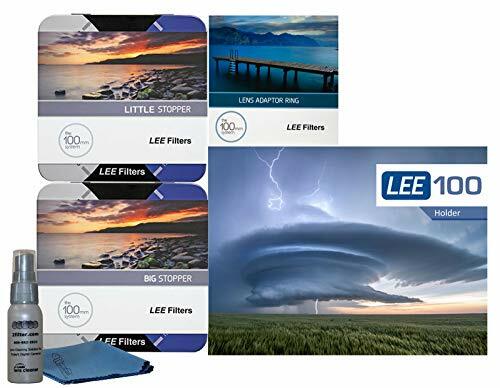 Includes K&F CONCEPT 72mm Nd Filter Variable Professional Photography Filter ND2~400 + Professional Microfiber Lens Cleaning Cloth. 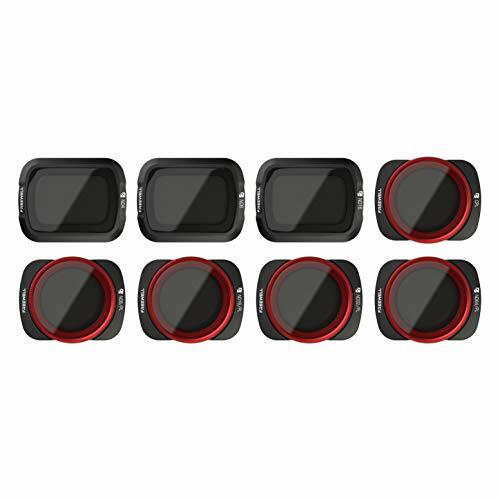 NOTE This Filter kit is compatible with all 72mm lenses. Please verify your camera's lens thread size before ordering. Your camera's lens thread size will be marked somewhere on the lens barrel or printed underneath your lens cap. This number is always preceded by a (diameter) symbol. Popular Compatible Lens CANON Rebel (T5i T4i T3i T3 T2i T1i XT XTi XSi SL1), CANON EOS (700D 650D 600D 550D 500D 450D 400D 300D 1100D 1000D 100D) with 72MM Lens with include: EF-S 18-200mm f/3.5-5.6 IS, EF-S 15-85mm f/3.5-5.6 IS USM,EF 28-135mm f/3.5-5.6 IS USM, EF 85mm f/1.2L II USM,EF 50mm f/1.2L USM. Control your shutter speed in ever-changing lighting conditions. 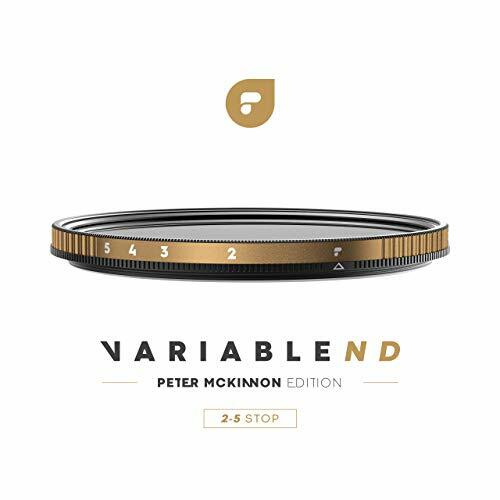 The VND Peter McKinnon Edition has laser etched stop indicators precisely align two fused quartz glass elements to control the desired amount of light entering your lens. The controlled stop range eliminates cross-polarization and vignetting so your run-and-gun content always comes out the way you intend it to. When using the ND filter to the maximum(ND400) or bigger degree density, it will appear "X" spot or a blurry in the picture,this is a normal phenomenon. Suggestion:Lower down the density value gradually and reduce the aperture, until the facula disappeared. When using the ND filter to the maximum(ND400) or bigger degree density, it will appear "X" spot or a blurry in the picture,this is a normal phenomenon. Suggestion:Lower down the density value gradually and reduce the aperture, until the facula disappeared. 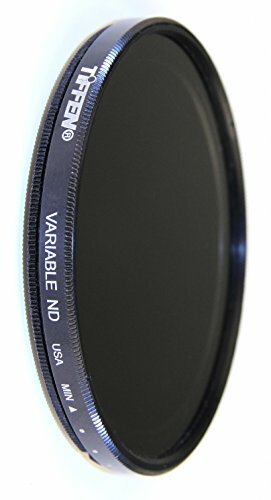 [LIGHTWEIGHT] ND / UV filters: 0.7g, CPL filter: 1g. Does not affect the gimbal and lens function. [EASY INSTALLATION] Press-on Installation, suction cap structure, firmly fixed. cutting down the amount of light passing through the lens without changing the color of the resulting photographs. THE VARIABLE FILTER: Is adjustable from ND2 to ND400. ND2 will block out 1 Stop of light - ND4 2 Stop - ND8 3 Stop - ND16 4 Stop - ND32 5 Stop - ND64 6 Stop - ND128 7 Stop - ND256 8 Stop - ND400 9 Stop. THE IDEA BEHIND THE ND: Is that they are supposed to be totally neutral in color, cutting down the amount of light passing through the lens without changing the color of the resulting. THE VARIABLE FILTER: Is adjustable from ND2 to ND400. ND2 will block out 1 Stop of light - ND4 2 Stop - ND8 3 Stop - ND16 4 Stop - ND32 5 Stop - ND64 6 Stop - ND128 7 Stop - ND256 8 Stop - ND400 9 Stop. ND Filter --- Extend exposure time. Try an ND, or neutral density, filter. it easier to achieve effects such as a shallower depth of field or blurred motion. Neutral density can be adjusted from ND2 to ND32, Reduces the amount of light reaching the film without affecting the color. 1.This kit is compatible with all 82mm lenses ONLY,Please verify your cameras's lens thread size before ordering. This number is always preceded by a " "(diameter) symbol. Material ND Filter: Made by Completed Professional Optical Glasses instead of Optical Resin. filter reduces the intake of light without affecting the overall color balance. No X cross on images Say goodbye to the X cross on images, K&F utilize cutting edge technology you're going to say goodbye to this common issue with wide angle lenses and variable ND filters. NANOTEC Our optical engineers developed new Nano coating layer technology Waterproof, scratch-resistant, anti-reflective green coating, effectively prevent from oil, fingerprint, scratch, protect valued lens. Professional Design Ultra slim rim design preventing wide angle vignetting. Extra tough aviation aluminum frame ensuring durability and jamming prevention. 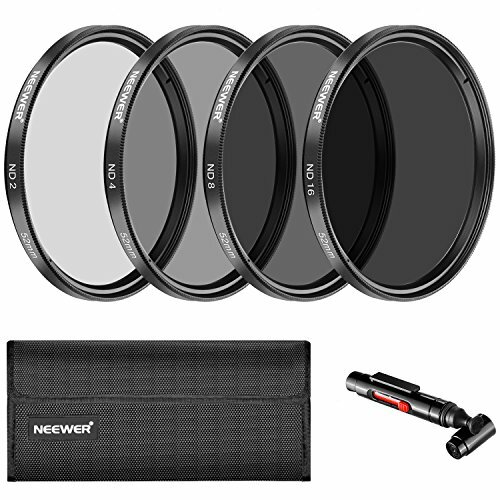 NOTE This Filter kit is compatible with all 82mm lenses. Please verify your camera's lens thread size(usually marked somewhere on the lens barrel or printed underneath the lens cap) before ordering. The number is always preceded by a (diameter) symbol. It is the perfect filter for capturing the motion of water by reducing light intake and allowing a slower shutter speed. It also facilitates a wider aperture allowing a shallow depth of field all without affecting the colour balance of the image. Filters feature a black matte aluminum satin finish alemite frame which reduces reflections.These filters are equipped with black rimmed glass to reduce the chance of light reflecting off the edge. RoHS conformity/ Meet EU environmental standard of RoHS. NOTE: This kit is compatible with all 77mm lenses ONLY,Please verify your camera's lens thread size before ordering. The 77mm ND filter is made of Imported optical glass, top level of transmittance, no colour cast; Aviation aluminum alloy frame,super slim and lightweight, avoiding vignetting on wide angle lenses. Extra tough frame ensuring durability and jamming prevention. ND 1000 filter could reduce the amount of light by 10 stop, long-time exposure edge tool;Multi-coated nano filter, effectively reduce the light refection of the surface, improve image quality. Waterproof, scratch-resistant, anti-reflective green coating, effectively prevent from oil, fingerprint,scratch, protect valued lens. ND 1000 Filter Enables slow shutter speeds to be used to record movement in subjects such as waterfalls, providing a silky smooth affect to flowing water. The ACCU-ND technology in the Hoya PROND filters yields a truly neutral color balance that will not add any noticeable color-cast to your images. The Hoya PROND series is aimed at the still photography and HDSLR video markets. The series provides 9 filters from two stop to 10 stop light reduction. 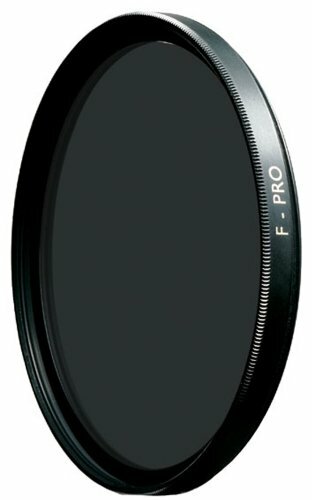 The Metallic ACCU-ND coating on the PROND filters do not color shift as you move from one density to the next, a common problem with other series of neutral density filters. Now you can set your white balance once and have the same color balance even if you need to change filters due to changes in lighting, or for creative effect. The PROND filters use Hoya's exclusive clear optical glass that has a metallic ACCU-ND coating front and back to create the neutral density affect. Neutral density filters are designed to reduce the amount of light entering your camera lens and should not have any other effect on the image. Reducing the amount of light allows for the use of wider apertures or slower shutter speeds for creative and dramatic effect in bright lighting conditions. 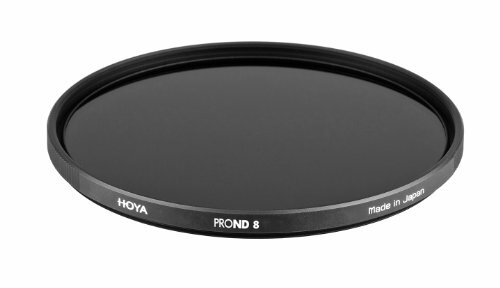 All Hoya PROND filters have a low-profile one piece aluminum frame. The thin frame keeps the glass secure and parallel to the sensor while allowing it to be used with super-wide angle lenses. Polaroid Optics HD Multi-Coated Variable Range ND2-ND2000 Neutral Density (ND) Fader Filter Polaroid filters continue the brand's long legacy of superior optical solutions. All our filters are carefully formulated to ensure consistent color and accuracy throughout the entire surface of the glass. Why? Consistent color means consistent high quality results. We know that a poorly made filter makes a great lens and camera worthless, that's why the our frame rings are constructed of special alloys that won't expand or contract over time or due to temperature extremes-it's also why we back our filters with an 10 year warranty-because we engineer them to last. 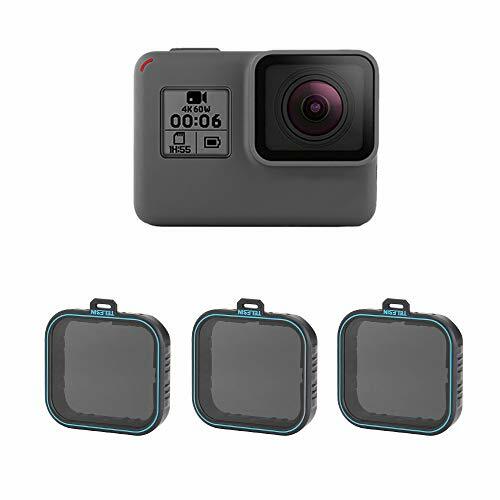 The all day filter kit for DJI OSMO pocket from Freewell gear is an excellent choice for professional videographer & photographer who needs filter for all situation of the day. 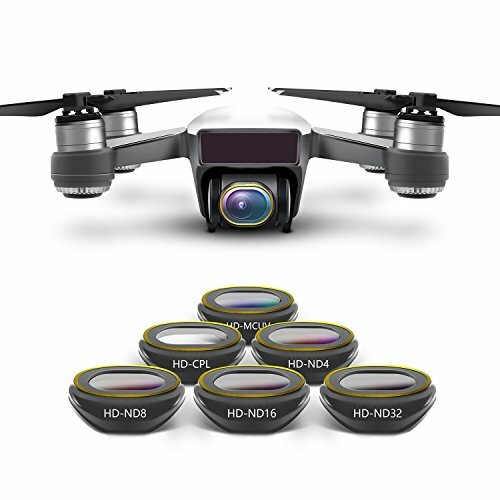 It is also the perfect solution for professional cinematographers for getting cinematic aerial footage, with the right Balance of contrast and colors. 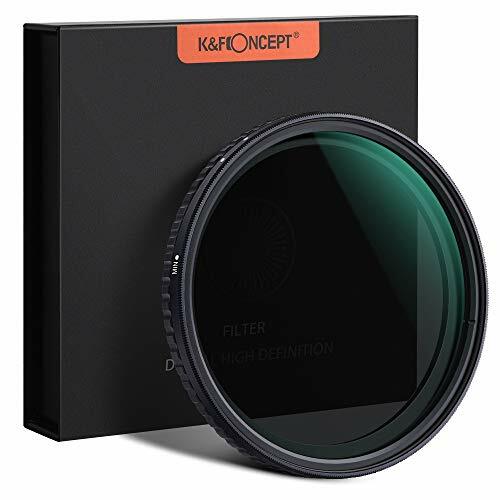 49mm ND1000 Filter made with premium Japan Optics glass, top level of transmittance, no color cast; Aviation aluminum alloy frame,super slim and lightweight, avoiding vignetting on wide angle lenses. Extra tough frame ensuring durability and jamming prevention. 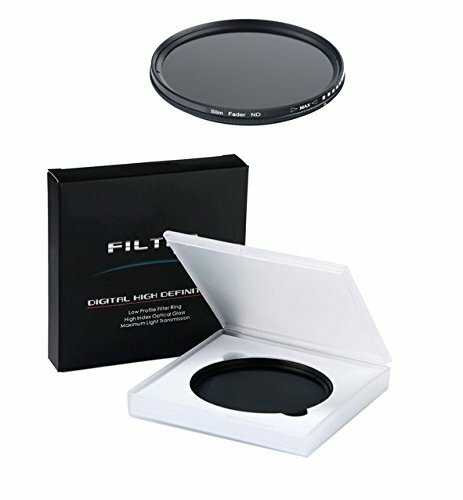 Neutral Density Filter reduce the amount of light by 10 stops, long-time exposure edge tool;Multi-coated nano filter, effectively reduce the light refection of the surface, improve image quality. 18-layer multi-resistant coating technology significantly reducing lens flare and ghosting while making the filter anti-scratch, water repellent, oil & dust resistant fit for the rigors of adventure photography. Hard coated multicoating process suppresses ghosting, flare and reflections, and increase light transmission; Can be used to achieve super slow shutter speeds in daylight to render moving subjects invisible. Enables slow shutter speeds to be used to record movement in subjects such as waterfalls, providing a silky smooth affect to flowing water. 43mm ND1000 Filter made with premium Japan Optics glass, top level of transmittance, no color cast; Aviation aluminum alloy frame,super slim and lightweight, avoiding vignetting on wide angle lenses. Extra tough frame ensuring durability and jamming prevention.